Dr. Luttrull strives to provide the most technologically most up-to-date, safest and most effective treatments available for patients with retinal and macular disorders, with an emphasis on prevention. 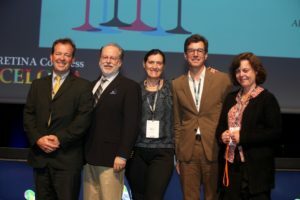 Dr. Luttrull is internationally recognized as an innovator in the treatment of retinal diseases. His contributions, including “high-density / low-intensity subthreshold diode micropulse laser” (SDM) and Retinal Protective Therapy™, are advancing the treatment and understanding of retinal disease. Through his research, Dr. Luttrull has been a pioneer in early and preventive treatment of diabetic retinopathy and developer of first preventive treatments for age-related macular degeneration that reduce the risk of “wet” macular degeneration, slow progression of age-related geographic atrophy, and reduce the risks of visual loss. 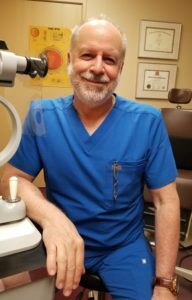 Dr. Luttrull is a life member of the American Academy of Ophthalmology; an “Honor Award” recipient of the American Society of Retinal Specialists; founder of the Ventura County Ophthalmology Society; and founder and Executive Director of LIGHT: The International Retinal Laser Society.